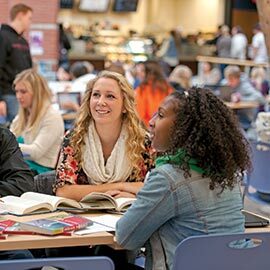 Laurier’s redesigned Master of Arts (MA) in English offers courses and faculty expertise in English literature and global cultures, film and media studies, and professional skills. You will develop your understanding of the discipline, and improve your critical thinking and communication skills through analysis and research. The program encourages you to apply your critical thinking and communication skills in concrete situations, through practical assignments and projects such as organizing debates and class colloquia, and through producing conference papers, chapbooks, book and film reviews, author interviews, blogs, reports and media releases. Our program also gives you the opportunity to put your knowledge into practice as teaching assistants in the department and in an optional Professional Skills placement in the spring term. Works to be studied may include: fiction, film, poetry, autobiography, drama, graphic narratives, digital and visual media, travelogues and essays. Ideas relevant to our fields of study include gender, representation, aesthetics, narrative, adaptation, memory, identity and genre. Our faculty has a diverse range of expertise in areas such as global culture, periodical culture, music, memory, animation, gaming, youth culture, ecocriticism, human rights, media history, life writing and diaspora. You have the option of completing your MA in an intensive eight-month degree consisting of course work only, or a one-year degree consisting of course work with either a Major Research Paper or a Professional Skills Option. The degree is also available for study on a part-time basis. Our research focus is on Gender, Nation and Media. We believe that the cross-pollination of literary, film and media studies, combined with our department’s exceptionally strong record of publications and expertise in gender, diaspora and postcolonial studies, makes us particularly suited for students wishing to engage with these intersecting fields of specialization. A Bachelor of Arts (honours) with a major in English, or related field. A minimum cumulative average of B+ in English courses above the first-year level. Our graduates have gone on to do doctoral work in English, women’s studies, Canadian studies and cinema and television studies in Canada, the United States and England. Our graduates also go on to successful careers in publishing, education, government, media and entertainment, journalism, law and more. Graduates find employment in areas that require creativity, writing and oral presentation skills, and research abilities.